dimensions: diameter: 1000 mm. height: 450 mm. old past time long before electric light was invented. 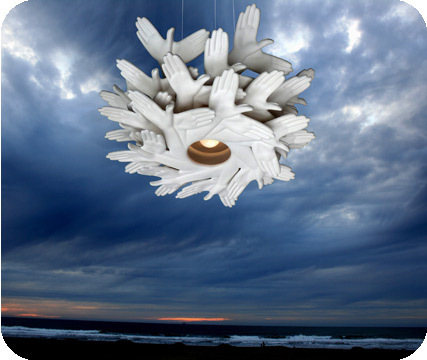 All of the hands are positioned to look like a flock of birds, flying out in circles. The shadows cast on the wall looks like birds. This results in a very expressive, dynamic and striking looking lamp , with layers of humor and poetry hidden in the design.